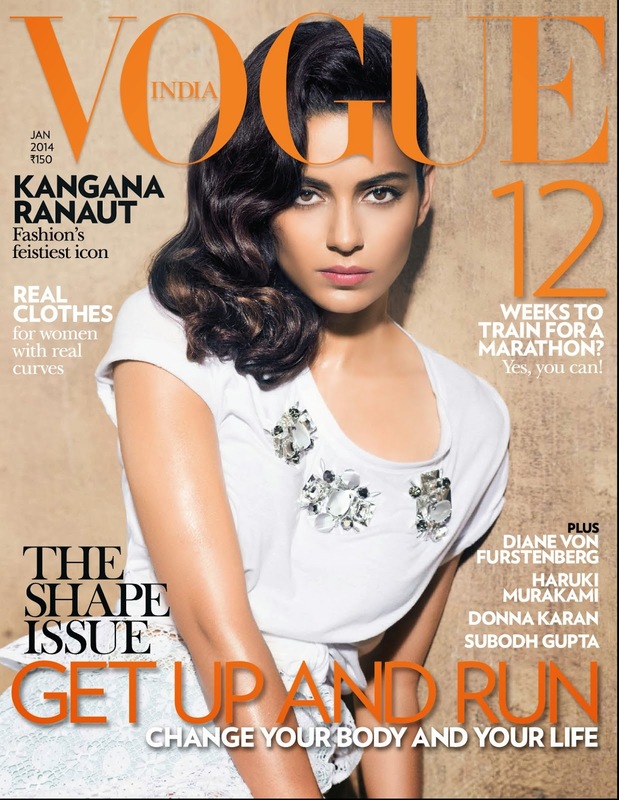 Kangana Ranaut stares back at you in this sleek and stylish cover of VOGUE India, January 2014. In Burberry Prorsum SS'13 collection's white ensemble, she keeps it simple with styling. Hazel eyes, perfectly contoured checks, neutral pout and old school hollywood inspired hairdo finished her look. In my opinion, a lot could have been done in-terms of styling. This cover does NO justice to the cover girl or the Burberry dress. We expect a lot better from VOGUE, specially this one being 2014's first cover, its almost disappointing. It takes me to VOGUE India's January 2013 cover, featuring Kareena Kapoor Khan, which still seems so fresh and has perfection written all over. Hope they do much better with their February cover.